• Are you currently renting your property to a tenant or propose to in the future? If you answer yes to those questions, this letter contains very important information on how North Somerset Council will be working to improve housing and management standards within this area of Weston super Mare. This new approach offers landlords an opportunity to self-regulate through joining a landlord accreditation scheme. Our recognised partner scheme is the National Landlord Code of Excellence (NLCE). Landlords who decide not to join that scheme will receive a proactive targeted inspection of their portfolio of rented properties. Historically, North Somerset Council have operated a complaint-based service; that is responsive to a tenant’s complaint about a substandard property and if the complaint is substantiated, an officer will investigate and take action as necessary. The Council will commence inspections of privately rented properties in the highlighted area from April 2019 and properties of non-accredited landlords will be targeted in the first instance. This will be a Proactive Inspection regime, rather than a response to tenant complaints. Over time, the council will inspect all the private rented accommodation within the targeted area to ensure that the properties are safe, provide adequate facilities and do not contain any actionable hazards. Further information to assist is available on the North Somerset Council website http://www.n-somerset.gov.uk/my-services/housing/help-landlords-letting-homes/health-and-safety-responsibilities-and-inspections/ and enclosed is a checklist to help determine possible hazards. When an officer visits properties (including common parts) to carry out an inspection and assessment, should an actionable hazard(s) be found, formal action will be taken. For the avoidance of doubt, if an actionable hazard is found, a charge will be levied to cover the officer time for the inspection, assessment and preparation of the formal documents. In the event you fail to comply with the formal notice and complete the required work legal proceedings could follow and/or a civil penalty issued. The level of civil penalty is determined by the severity of the hazard and the harm it may cause, with a maximum amount of £30,000. For owners of houses in multiple occupation there are specific management standards which must be complied with, further information can be found on the Government website in relation to management regulations. Failure to comply with the management regulations is an offence under the Housing Act 2004 and could result in prosecution or alternatively a civil penalty may be issued. North Somerset Council are keen to promote self-regulation, the benefits of training and continual development for landlords in this expanding sector which has led to our partnership with the National Landlords Code of Excellence (NLCE). The NLCE – https://nlceuk.co.uk/what-is-the-nlce/ are an accreditation provider based in Weston super Mare and offer a national solution to best practice letting guidelines, property maintenance tracking, legal compliance, accreditation and training based around their Code of Excellence. If you are currently an NLCE member or become accredited through the NLCE by April 2019, the council will not prioritise your properties for inspection. The aims of the NLCE accreditation scheme are to encourage, acknowledge and actively promote good standards and management practice by owners. Also to assist owners and tenants to undertake their respective responsibilities to each other. 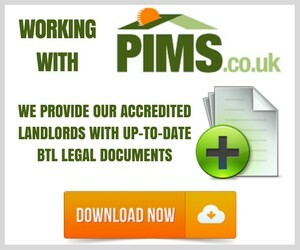 By joining the scheme you will be required to confirm your property/properties meet the legal minimum standards. In addition, legislation has recently been introduced requiring landlords of both social and privately rented properties to ensure that their properties meet certain standards at the beginning and throughout a tenancy. If you fail to do this, tenants have the right to take legal action for breach of contract. A further reason to join NLCE to know your obligations and avoid legal action. Held at: The Windsor Castle, 54 Upper Bristol Road, Weston-s-Mare BS22 8DP (Parking available). Including refreshments, this course is just £25 each for accredited landlords or £40 for non-accredited landlords. – 5 CPD points per accredited attendee. Email enquiries@nlceuk.co.uk to book a space or for further information.